Ever since I found out about the Castlevania series being put on Netflix, I was super excited to check it out. The series is also based on a game series which I have been told has a pretty awesome story line within itself as well. I actually would like to play the game after watching the series. A few people I know who have played the games have expressed that they actually like Netflix's adaptation of the game. So needless to say that is a good sign. I will try to keep this review a bit brief without telling too much information in case you guys would like to see it. Episodes: Season 1 has 4 episodes that are around 22 minutes long. The story revolves around the beginning of a war surrounding Dracula and the residents residing in Wallachia. Someone Dracula cares about is killed and he begins to wreak havoc on the people within the "state." A vampire hunter eventually comes into play to try to save the people. It is an extremely sad tale in my opinion that has a mixture of a decent amount of assumptions as well as misunderstandings that can be seen within each of the characters that are presented within the show. I don't know about you guys, but I love action!! The action in this show is amazing and very graphic. Which also leads me to the fact that there is a decent amount of gore within this show.I would give the gore level a 7 out of 5 because there is a lot of it and a lot of dismembering of body parts. I am a big fan of the way the creators present each character. However I would love to know more information about practically each character and how they came to be. Each individual has a past that I hope they dive into more within the future. I would also just like to know more about how each character came to be because a lot of them display a lot of talents as well as characteristics that are interesting in my opinion. There are a multiple of villains within this series even though it is only 4 episodes, but of course initially the main villain is obvious because they trigger a series of events. This villain is in search of power. They want to be able to control the people of Wallachia and if they can't, they instead condemn as well as seek to destroy them. Would I recommend watching Castlevania? I definitely think that you guys should check it out considering it is only 4 episodes long which is so disappointing because the story is great! There is action, a great plot, interesting characters, and overall it makes you realize that the show is about different variations of love... Whether it be the love of power, the love of others, or even the loss of love. **Castlevania was renewed for 8 more episodes which is awesome! I am excited! 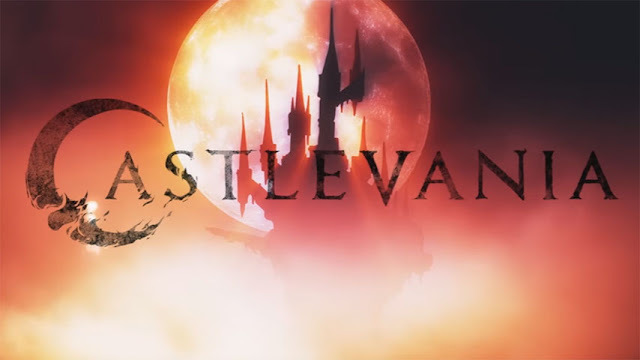 Check out Castlevania on Netflix and tell me what you guys think about it in the comments down below!